Site Stacker is the Most Powerful Software Platform for Missionary Sending Agencies, Child Sponsorship Orgs and Christian Nonprofits. This Site will Help You Take Full Advantage of These Powerful Tools and Grow Your Ministry! Want a quick crash course on the basics? Start here. We'll cover topics like managing giving campaigns, CRM records, giving data, fundraising efforts, child sponsorship and more. On this page you will find some of the most typical questions and answers about how to take full advantage of the Site Stacker tools. Be sure to check back as we will update this page often. 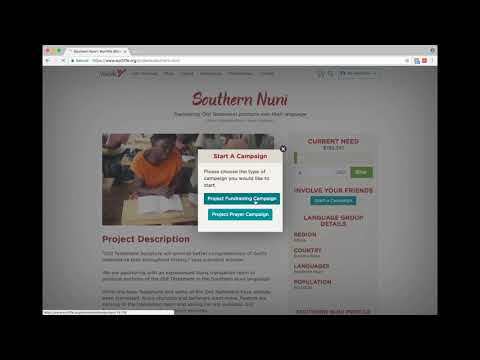 This video provides a 9 minute refresher on ways Site Stacker Online Giving can help your ministry grow. You will soon receive your first WMTEK update.